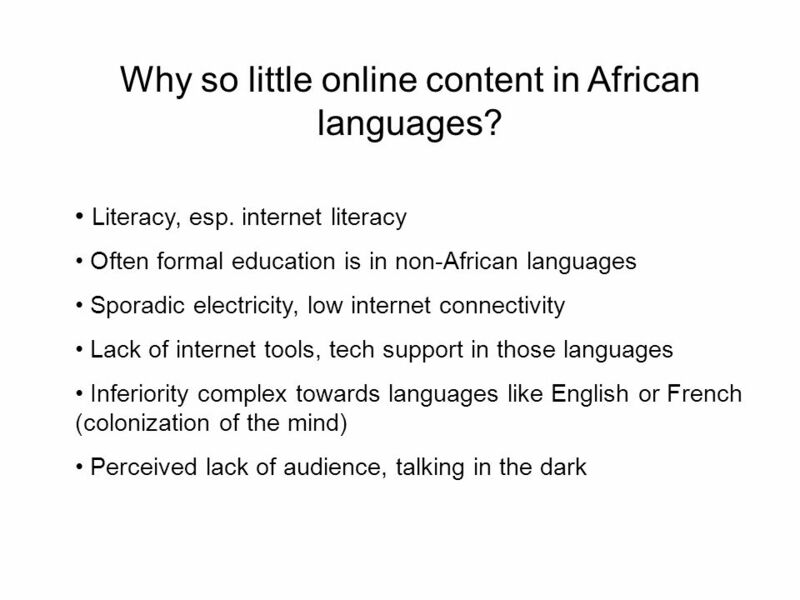 Digital Media and the right to language. 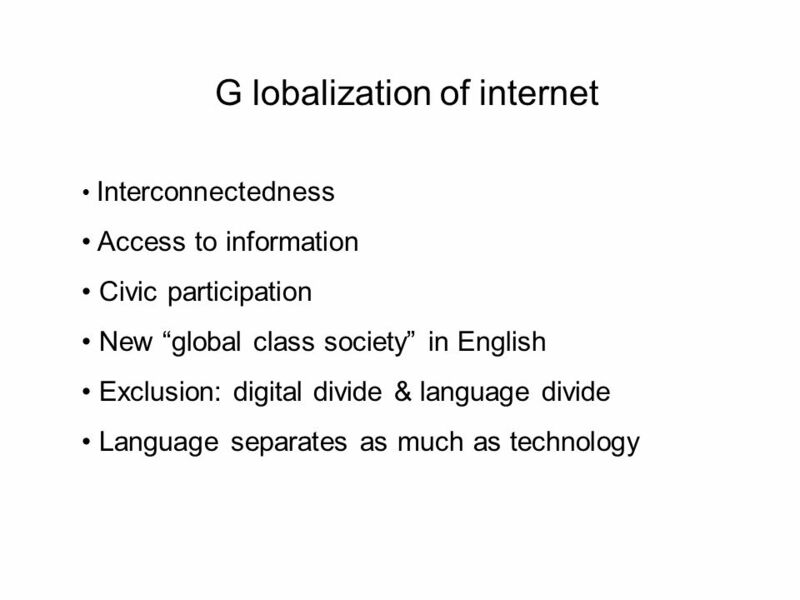 G lobalization of internet Interconnectedness Access to information Civic participation New global class society. 3 Example of Catalan Spoken in some regions of Spain, mainly Catalonia 6-10 million Catalan speakers Own domain (.cat) since mid-2006, based not on territory but language. Currently around 34,000 registered websites Thousands of blogs Firefox, Facebook, Microsoft OS, Blogger, Gmail, etc. 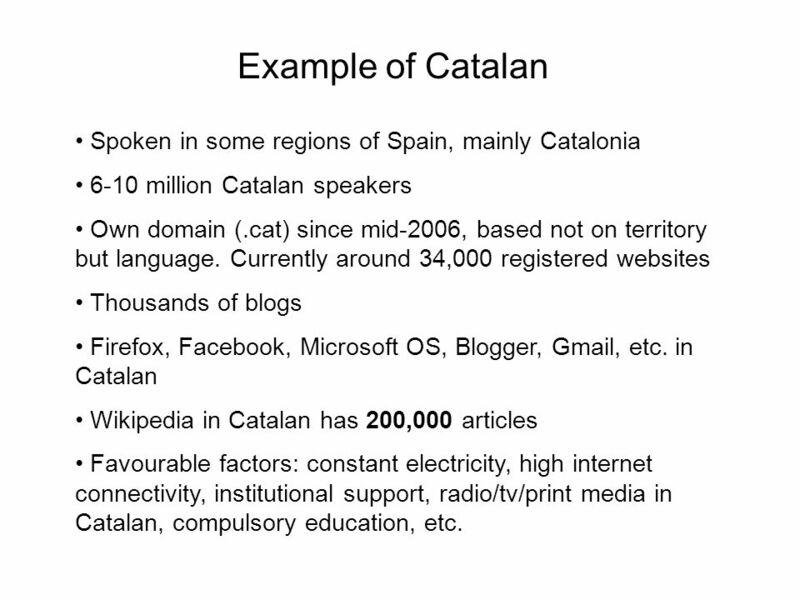 in Catalan Wikipedia in Catalan has 200,000 articles Favourable factors: constant electricity, high internet connectivity, institutional support, radio/tv/print media in Catalan, compulsory education, etc. 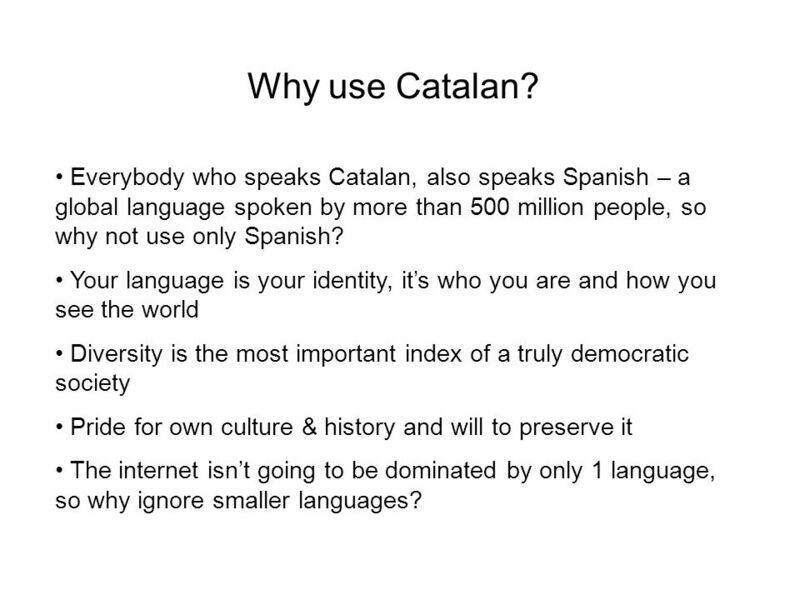 4 Why use Catalan? Everybody who speaks Catalan, also speaks Spanish – a global language spoken by more than 500 million people, so why not use only Spanish? Your language is your identity, its who you are and how you see the world Diversity is the most important index of a truly democratic society Pride for own culture & history and will to preserve it The internet isnt going to be dominated by only 1 language, so why ignore smaller languages? 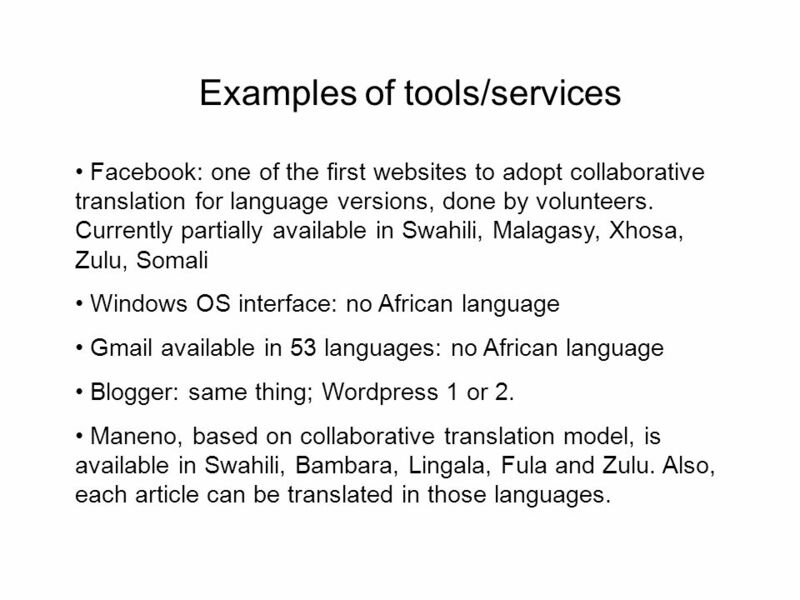 8 Examples of tools/services Facebook: one of the first websites to adopt collaborative translation for language versions, done by volunteers. 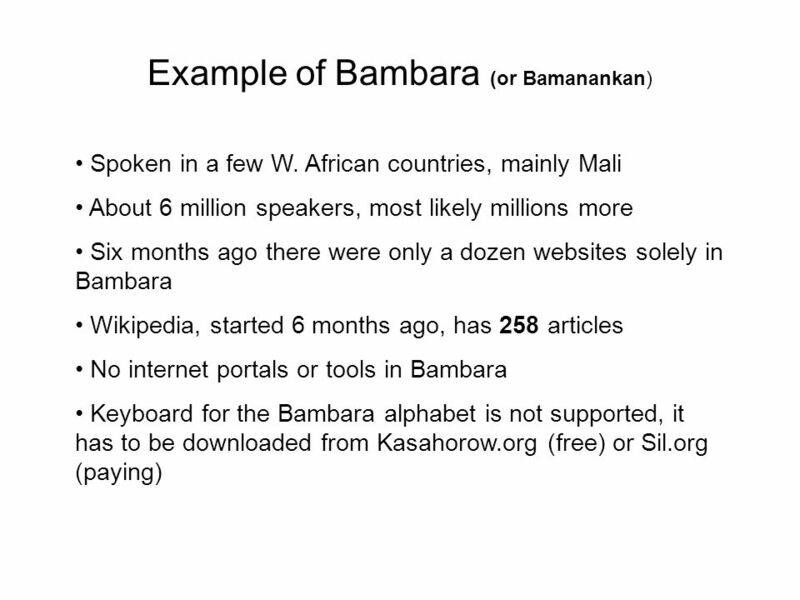 Currently partially available in Swahili, Malagasy, Xhosa, Zulu, Somali Windows OS interface: no African language Gmail available in 53 languages: no African language Blogger: same thing; Wordpress 1 or 2. 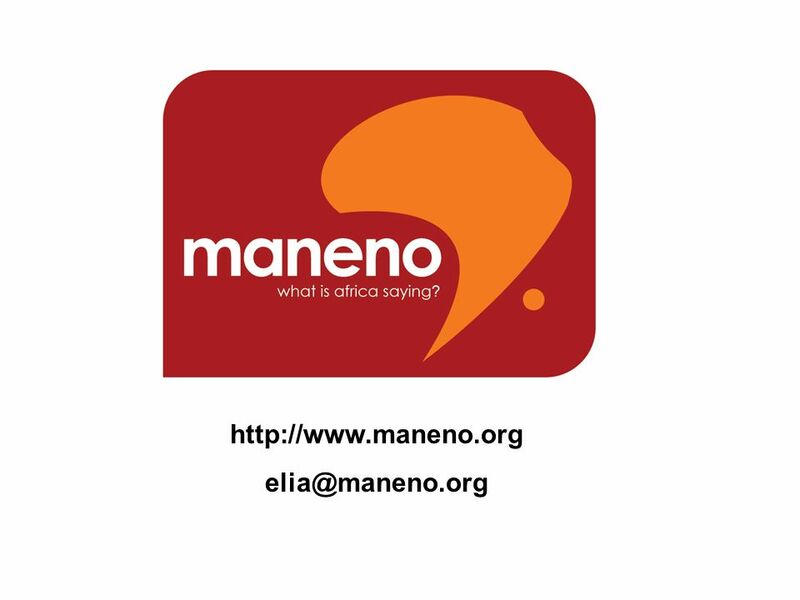 Maneno, based on collaborative translation model, is available in Swahili, Bambara, Lingala, Fula and Zulu. Also, each article can be translated in those languages. 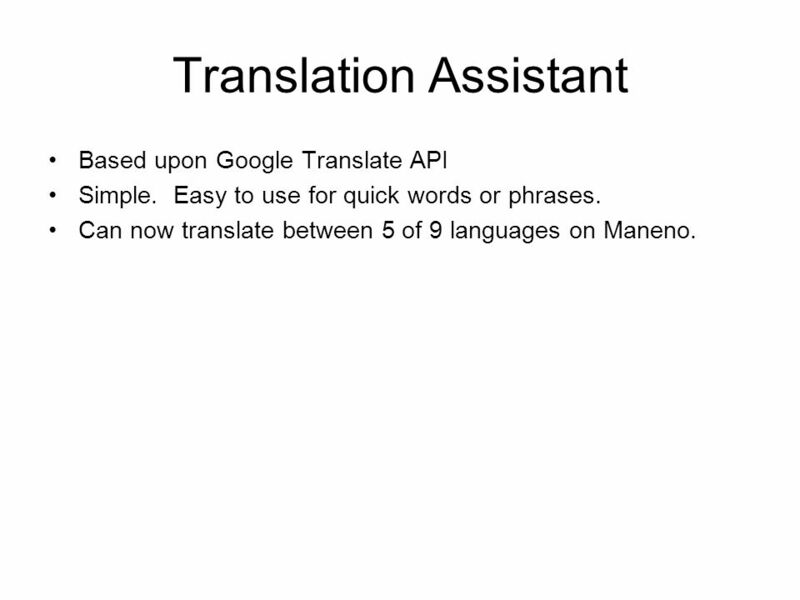 10 Translation Assistant Based upon Google Translate API Simple. Easy to use for quick words or phrases. 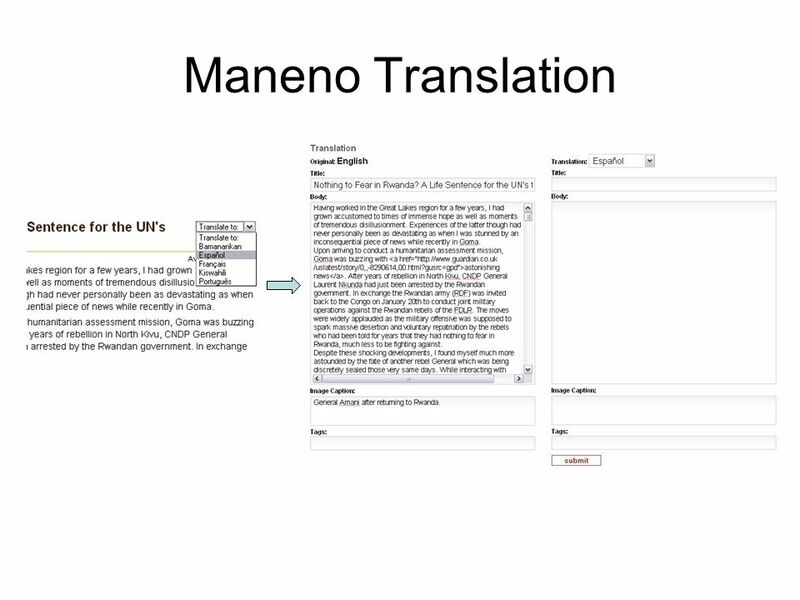 Can now translate between 5 of 9 languages on Maneno. 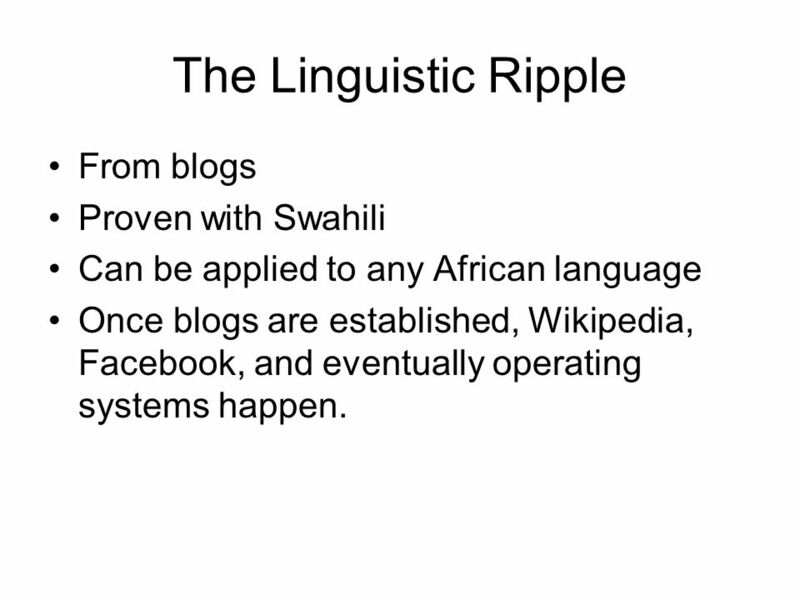 11 The Linguistic Ripple From blogs Proven with Swahili Can be applied to any African language Once blogs are established, Wikipedia, Facebook, and eventually operating systems happen. 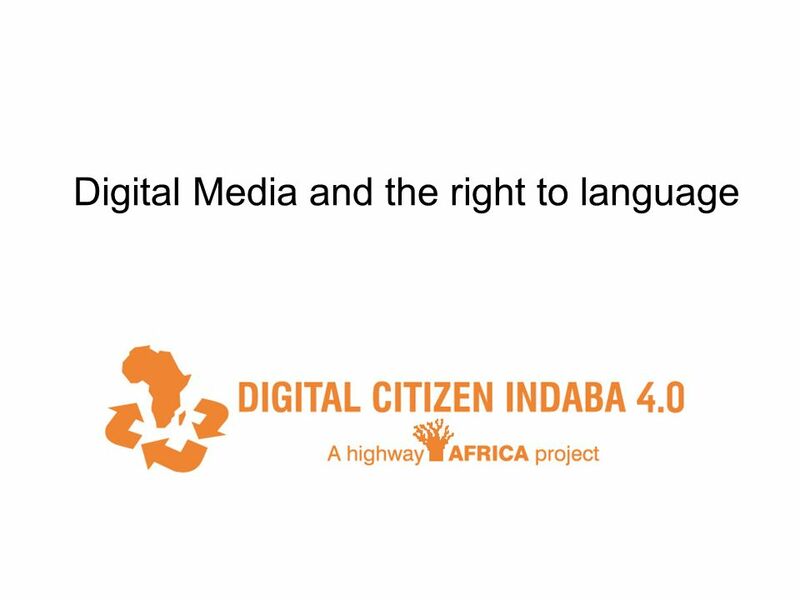 Download ppt "Digital Media and the right to language. G lobalization of internet Interconnectedness Access to information Civic participation New global class society." OARE Short Course. Table of Contents Introduction to OARE: Background, Partners, Eligibility & Copyright/User agreement Using OARE Webpage Registration. Workshop 8 : What role can human rights play in Internet policy? 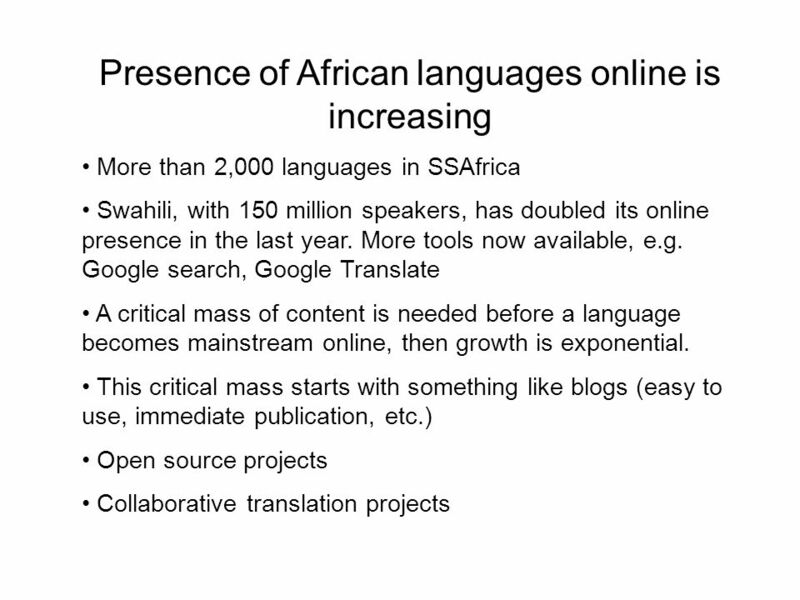 Multilingualism on the Internet as a human right. Two missed opportunities to learn ELFE in a Catalan middle city Xavier Martin-Rubio. Open Data at the World Bank Open about what we do Open about what we know Open to new engagement Supporting. How Do I Say Hello? Julie Anne Parisi Education 301 Diversity Technology Lesson. 4th Workshop – Belgrade, 12 th April 2011 – Quality Standards in ICT Education “CLICK TO EUROPE” 4th Workshop – 12 th April Quality Standards in. Putting yourself online Making Web 2.0 work for you By Jonathan Smith Overseas School of Colombo. Why Do People Preserve Local Languages? Alex Wade, Microsoft Research And acknowledging Walter L. Warnick, Ph.D. Director, Office of Scientific and Technical Information U.S. Department of Energy.